The recital also includes three works by Poulenc: Fancy, Bleuet and Tel jour telle nuit, a beautifully conceived and shaped cycle, considered Poulenc’s greatest vocal work, and reminiscent of the great cycles of a century earlier, such as Winterreise or Dichterliebe. 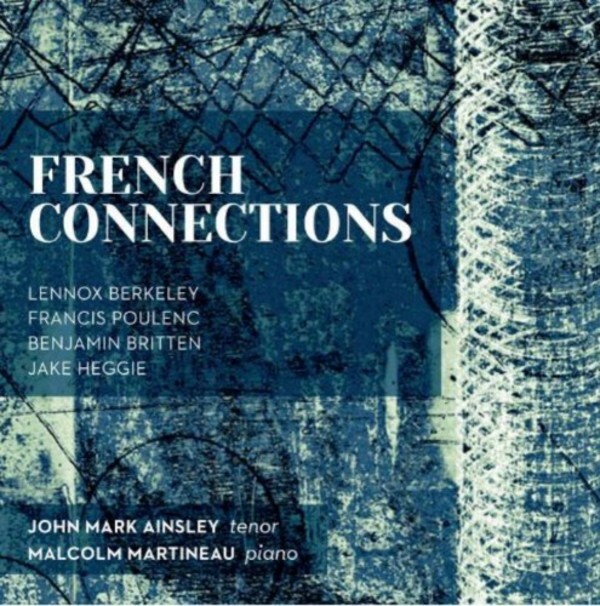 Despite French heritage and fluency in the language, Berkeley’s friendship with Britten led him to set verse by the English poet, W H Auden instead. His Five Poems are some of the best of their kind - a cohesive and satisfying collection, Berkeley perfectly captures both the fanciful and reflective elements of Auden's poetry. Auden in turn re-introduced Britten to the works of John Donne, which Britten went on to set in his Holy Sonnets. Darkly moving and highly demanding, they are among his finest work. John Mark Ainsley has appeared with the world’s greatest orchestras and conductors, including the London Symphony Orchestra and the London Philharmonic orchestra, with Sir Colin Davis, Bernard Haitink, Sir Charles Mackerras, Kurt Masur, Sir Roger Norrington, Sir Simon Rattle and Claudio Abbado. In opera he has sung at Glyndebourne, Covent Garden and with English National Opera. In 2010 he sang his first Captain Vere in the UK, in Michael Grandage’s production of Billy Budd for the Glyndebourne Festival. Ainsley won the 2007 Royal Philharmonic Society Singer Award and is a visiting professor at the Royal Academy of Music. Malcolm Martineau is recognised as one of the leading accompanists of his generation, working with many of the world’s greatest singers.